You may be missing the days of lazy Sunday morning cricket games in the middle of the road at Carr’s Bay Corner but you will definitely get that same vibe on Sunday at Basil’s Annual Birthday Bash. 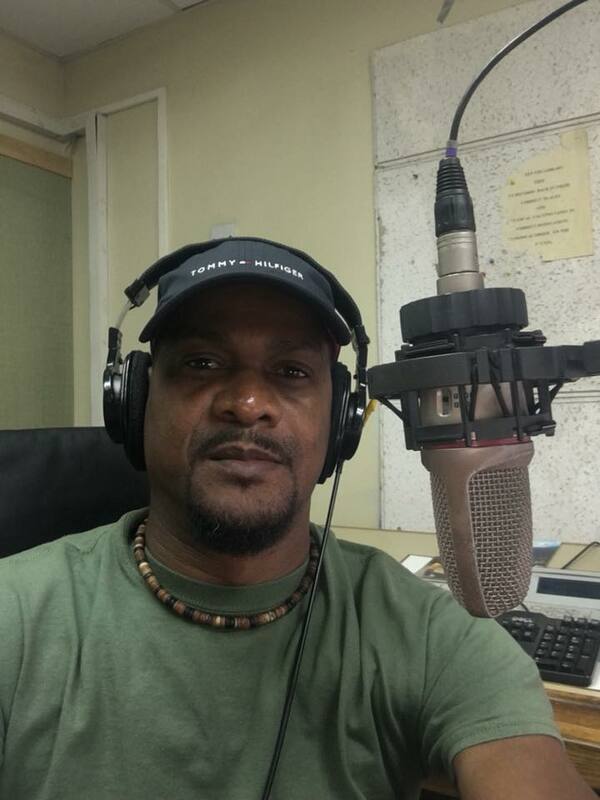 Radio Personality and ZJB’s Morning Show host Basil Chambers turned 52 on July 3 and as is now his custom, he has turned the celebration into an opportunity to give back to the community. The NGO Meals on Wheels is his charity of choice and your attendance at Sunday’s games will help them to continue their vision to feed those in need. Annually, more than 20,000 meals are prepared and delivered to the elderly, poor and indigent on island. Last year, after the cricket games were over, residents and radio listeners from abroad continued to contribute and more than EC$11,000 was raised for the charity. “This is a chance for me to give back. I grew up around very kind people including my deceased grandmother Sis Ellen Roach and one of my idols Nurse Majorie Joseph. “People need to eat. Sometimes in the international news I am shocked at the amount of hungry people in the world. Meals on Wheels feeds a lot of people unknowing to some. This is also an expensive venture. So I chose them to be my charity,” Chambers shared. And the giving has already begun, Vernon Springer, Operations Manager for the Leeward Islands Cricket Board has donated all of the trophies for the charity match. Springer recently closed out the successful execution of both the Under 17 and Under 17 LICB tournaments on island. “Once you are doing something positive people will always come on board. Our people are like that,” Basil said of the way the community supports his initiative for the charity. 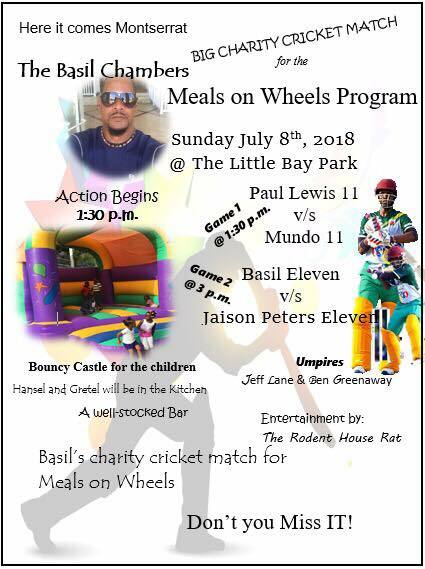 This Sunday you will finding him as captain for the Basil Eleven taking on Montserrat’s first player on the Leeward Islands cricket team, the Hurricanes, Jaison Peters and his team. The Hon. Minister of Communications Paul Lewis will lead his team of 11 against the Hon. Minister of Agriculture David Osborne and his Mundo Eleven. Match time is 1:30PM at the Little Bay Cricket Field. Basil’s game which begins at 3PM will most likely find him opening the batting so you don’t want to miss that. The first ball will be bowled by Hon Minister of Sports Delmaude Ryan to Meals and Wheels rep Nurse Violet Browne. DJ House Rat will be in the park, the grills will be hot with chicken and the beers and stouts, guaranteed to be cold. Bring the children as there will be a bouncy castle and lots to enjoy. Come down and have a great time and support Meals on Wheels Sunday, July 8, 2018 at Little Bay Park from 1:30AM. Want to make a contribution? Make your cheques payable to Meals on Wheels. Basil will hand over funds raised on Monday morning live at 10:15 AM on ZJB Radio.